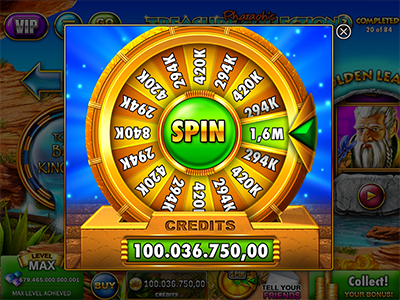 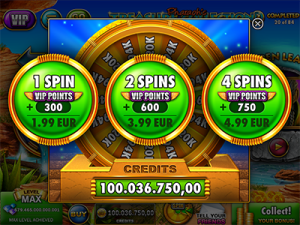 Every day the player may spin the wheel and receive free credits. After this free spin the player may also opt to purchase up to four additional spins with larger credit amounts available. 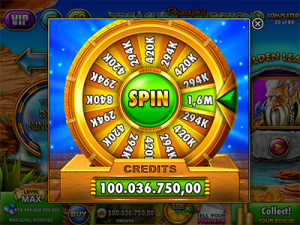 At midnight, the wheel is reset and may be used again.